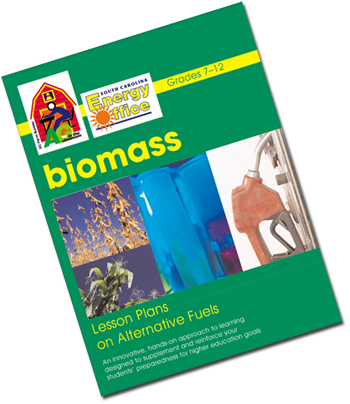 Biomass energy information is produced by Ag in the Classroom, a comprehensive program designed to teach young people about agriculture and related industries. Sponsored by the South Carolina Farm Bureau Federation, Ag in the Classroom provides teachers with professionally developed curricula materials emphasizing the importance of agriculture, environmental impacts of energy use and economic consequences. All materials are designed to integrate with and supplement existing classroom curricula. Curriculum standards prescribed by the South Carolina Department of Education are stated wherever applicable.